Ryan Choi – Career Corner from Katie Basile on Vimeo. Ryan Choi is a graduate student at the University of Utah. He is coordinating a team of scientists at the Tutakoke River in Western Alaska. 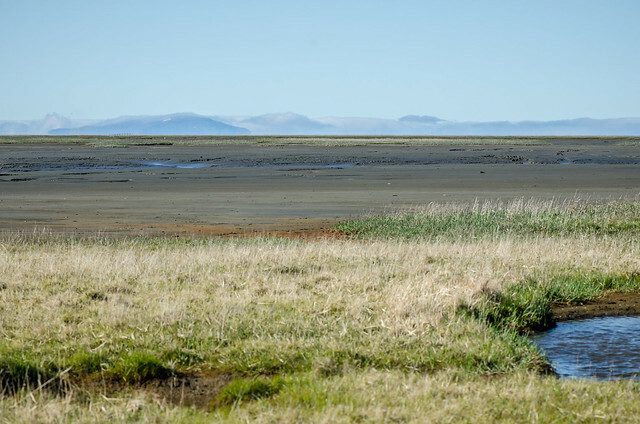 This remote research center is prime habitat for four species of geese, the Emperor Goose, the Pacific Black Brant, the Cackling Goose, and the Greater White Fronted Goose. The coastal saltwater marsh supports a type of sedge that these geese love to graze on. This video is a short introduction of the different types of studies the scientists are conduction at Tutakoke. The journey to camp is an adventure. First you fly on a small bush plane to the village of Chevak Alaska. Then there is a long boat ride through twisting tundra rivers, the Bering Sea coast and more twisting rivers. This is a series of time lapse photos taken to measure the green-up and green-down of the tundra. You can see the change in the grass as it starts to photosynthesize and turn green when the weather warms up and the days are longer. In the fall, the green disappears as the frost kills the cholorphyll and winter sets in. This data helps scientist record the growing season for plants that support many arctic food chains. Birds Taking Flight: How Climate Change Threatens Birds is just one of the resources available in the global change toolkit. This will be a good resource to integrate into study project. Click here to listen to the APRN story on the Tutakoke Goose Camp. to build knowledge and support for the research, and provide educational outlets for families who rely on geese for subsistence. Finally, one post-doctoral researcher, one graduate student, and several undergraduates will be provided new training, mentoring, and an opportunity to collaborate on project activities and present their findings at scientific meetings.